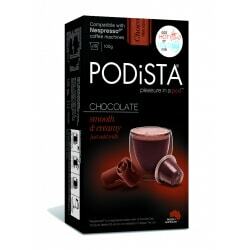 Biodegredable Nespresso®* compatible hot chocolate pods. Love having a nice mug of hot chocolate before bed? You will love our hot chocolate Nespresso®* compatible pods from PODiSTA, alternatively combine them with one of our coffee pods to make the perfect mocha! 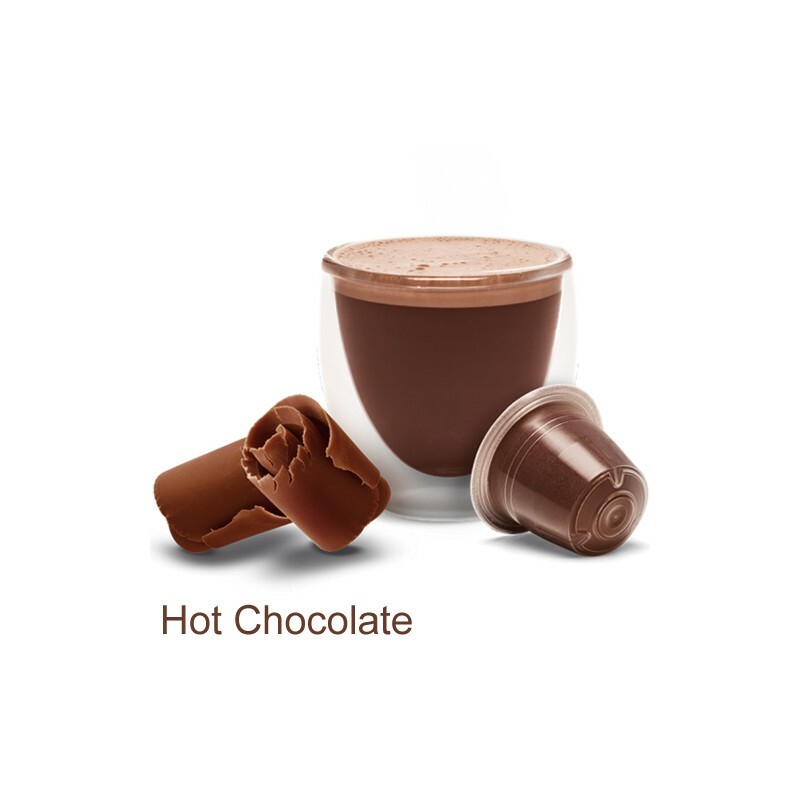 Blended from the finest ingredients, our Nespresso®* compatible Hot Chocolate Pods are Smooth and Creamy. Milk chocolate with a velvety texture that melts in the mouth. Made to a traditional recipe, it is a true delight for hot chocolate lovers who appreciate the finesse and quality of a perfect milk chocolate drink in a pod. Alternatively did you know you can also drink your Smooth and Creamy Chocolate capsules COLD, just extract over Ice, and add cold milk for a delicious alternative! For coffee lovers - why not combine one hot chocolate pod with one of our coffee pods to make a delicious Nespresso®* mocha.